The brands are voted based on the opinions of marketing experts, business professionals and 2,500 British adults. 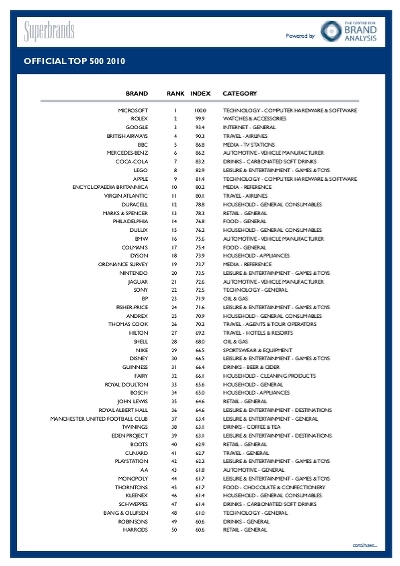 The voted brands in this ranking are deemed to be UK’s strongest B2C Superbrands. The voters are asked to judge brands against the following three factors: quality, reliability and distinction.